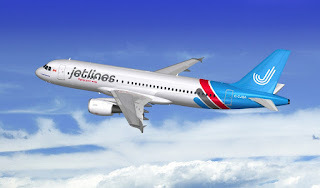 Jetlines, the yet to fly Canadian low-cost carrier has announced it intends to provide future service to several sun destinations in Mexico including Puerto Vallarta, Los Cabos, and Cancun. Jetlines has reached agreements with both Grupo Aeroportuario del Pacífico (GAP) to provide future service to the Puerto Vallarta International Airport (PVR) and the Los Cabos International Airport (SJD) as well as Cancun International Airport (CUN). Puerto Vallarta, Los Cabos, and Cancun are some of Mexico’s top tourism destinations for Canadians with nearly two million passengers travelling from Canada down to Mexico every year, with the numbers continually rising.